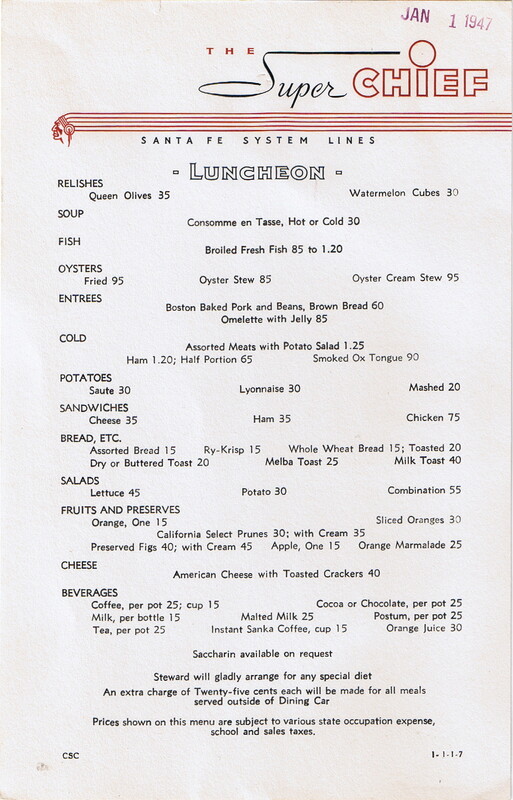 Description Atchison, Topeka and Santa Fe Railway (ATSF) Railroad 1947 Super Chief Luncheon Menu. A single sided luncheon menu featuring an art deco indian chief and the super chief in black and red. Headings include Relishes, Soup, Fish, Oysters, Entrees, Cold, Potatoes, Sandwiches, Bread, Salads, Fruits and Preserves, Cheese and Beverages. Not too bad of a selection for Lunch! 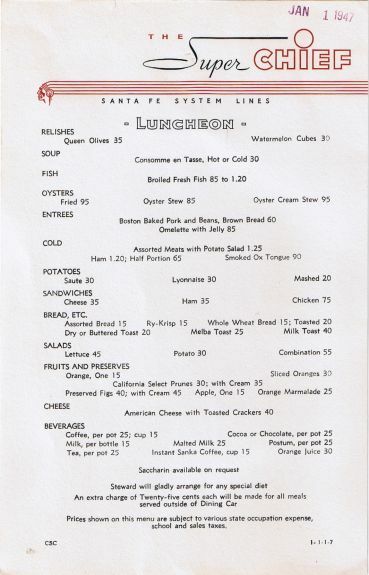 A cheese sandwich was only .35 and Oyster Stew was .85.